Microdosing | Silicon Valley’s Newest Smartdrug? Recently, while out to dinner with a few Silicon Valley Senior Management types ( Startup / Enterprise ), the question of how one could go about achieving the “Limitless Effect” was brought up. Of course referring to the film Limitless, where Bradley Cooper’s character taps into his full potential by using a performance-enhancing smart drug that allows him to learn almost anything at will. A few ideas were tossed around as to how one could go about tapping into more human potential. 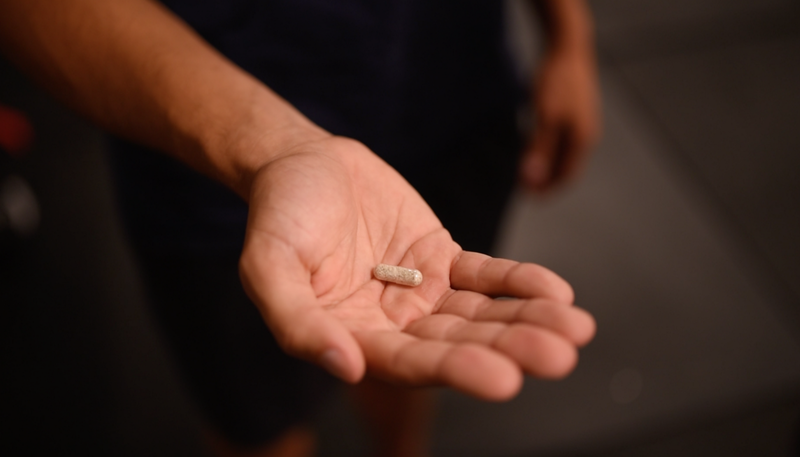 Different methods of biohacking were discussed at great length, while ideas such as time-restricted dieting and supplementation of nootropic smart drugs like Modafinil or Noopept seemed to bring about anecdotal success stories. That is when the conversation took an interesting turn. “Dave”, a SR Management Level employee at a Silicon Valley based SaaS company revealed that he had been experimenting with microdosing for a few months. Microdosing, is a technique of consuming low doses ( 1/10th normal dose ) of psychedelics, usually LSD or Psilocybin to help enhance cognitive and creative functions without experiencing any of the hallucination effects. Almost immediately, stories of past psychedelic experiences began floating around the dinner table. The general consensus was that going to work “high” on psychedelics seemed like an extremely bad idea. Dave went on to explain how taking such low dosages would prevent him from experiencing any of the hallucination effects. And that instead, he was reaping the benefits of heightened levels of alertness, energy, and creativity. “Everyone in Silicon Valley is doing it!” he proclaimed. Was this true? How had I not heard about this before tonight? Was it that people were too afraid to talk about LSD & psilocybin being that it was still illegal? I pondered this for a minute before taking note of the cautious tone that had consumed our table. Judging by the obvious mood change, I would say the stigma surrounding the use of psychedelics is still very much alive and well. After conducting some online microdosing research, I was able to locate a plethora of articles that seemed to echo Dave’s, “Everyone in Silicon Valley is doing it” statement. It really did appear that Silicon Valley had in fact gone crazy for microdosing. To my surprise, I found that it wasn’t only confined to the Startup sector. The microdosing movement had also made a big splash in the enterprise corporate world. This only further sparked my interest in conducting my own experiment to see just how powerful these “enhanced” effects could be. My first week was an interesting one in the sense that I didn’t exactly know what to expect. It had been quite a while since I had last dosed with psilocybin. My nerves were at an all time high when I swallowed the capsule. How would I know when it hit? A little less than 30 minutes later I noticed that my mood had been shifted for the better. For months I had been battling a bit of lingering depression. The kind that never really goes away. In fact, the month leading up to the experiment was exceptionally difficult being that I developed a terrible habit of constantly comparing myself to others in my age bracket. But, after that first 30 minutes passed, it became increasingly clear that I was operating on another level. I noticed that I was able to escape the ruminating with greater ease. Not to mention that I was experiencing a massive wave of euphoria. My mood really began to take on a more mindful and positive tone. One very positive outcome of my first microdose was that I was becoming more aware of myself. That I was able to take a step back and look around with non-judgemental eyes. To see that I was in fact doing all right. I was by no means close to financial freedom, but I did however rediscover that inner peace that I had somehow lost along the way. This mindful effect lingered around for the next 3 days. Being that my psilocybin reintroduction phase was out of the way, I felt I could really embrace and ultimately control the flow states that I had experienced during my first microdose. I made sure that I had a good amount of sleep leading up to the following dosing. I woke up after fasting 24 hours and ate a healthy breakfast before dosing around 10am. The effects were much like week 1’s in that I found myself more awake and mindful. I decided to sit down and work on a few design projects that I had sitting on the “not inspired” shelf. To my delight I found that I was seeing each project in a new light. Like I had somehow discovered a beauty that wasn’t there before. I also noticed that my workout later that day was more intense than usual. I felt myself more in-tune with each rep while also experiencing a boost in my stamina. I felt like I was supercharged. I hadn’t experienced a workout like that in some time! My third week was perhaps the best in terms of breakthrough experiences. I had decided to microdose before my mixed martial arts sparring session. I was extremely curious to see how I would perform in the hostile environment that is hand to hand combat. I entered the MMA gym excited and a little nervous. How would I perform while microdosing? My first round was with a much bigger and experienced opponent. After the first initial exchanges, or what we call the “feel out process”, I noticed that I wasn’t taking as much damage as I had in previous rounds with this opponent. I must admit, getting punched in the face or kicked in the body while microdosing was a bit jarring at first, but I quickly settled in and began systematically picking apart my opponent. My ability to download the complex patterns that were being presented surprised me. I felt I could instantly absorb and at the same time disseminate the data to my entire nervous system. My movements became more fluid in nature and I was able to comprehend everything around me at once. This of course gave me a sense of confidence that I had not felt before. I ended my sparring session with a total of six 5 minute rounds. I felt like I had just acquired a massive update to my combat programming. By the fourth week I began to notice that the residual effects were in full bloom. My sleep cycles became more aligned with the circadian rhythms while my overall happiness seemed to steadily increase as the weeks went on. To add to that, I noticed a much more consistent output of daily energy. My energy cycles became much more predictable which allowed me to really maximize my daily efforts. While there isn’t a lot of scientific data to support or refute the claim that microdosing can act as a sort of smart drug, I will say that I definitely experienced a big boost in creativity. I also felt an overall deeper connection with myself and my journey. I was no longer lost in my self doubt. As far as categorizing psilocybin under the “smart drug” title, I feel I would need more empirical evidence. Conducting a series of cognitive function tests would be interesting in that it could help provide a much clearer picture. If you would like more information on the possible benefits of microdosing there are organizations like MAPS ( www.maps.org ) who are beginning to study the effects that microdosing has on depression treatment, addiction, and people suffering PTSD. With all that being said, the future of microdosing psychedelics appears to be bright!